A Big, Smart Old Buck sniffing the breeze. 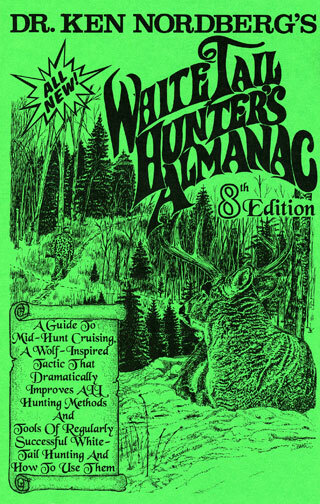 It's October, meaning us firearm whitetail hunters still have a month to get ready. That's good; there's a lot we still can do to improve our hunting success this November. Take our hunting clothes—we need to make sure they are as odor-free as possible on opening morning. There's a good reason for this. No matter how well we plan or how careful we are while hunting, plenty of deer will approach or pass us downwind, typically without our knowledge. Their response and consequences will have a lot to do with how much you smell. If your odors are minimal, chances are most of those deer will only keep 100 yards or so away from the spot where you were identified; meaning, if you change stand sites once or twice daily, your odds for hunting success will not be significantly reduced. If on the other hand your clothing reeks with body odor, cooking odors, tobacco smoke, gun solvent and/or other strong odors, some or all of those deer are likely to react with significant alarm, raising their tails and bounding or trotting swiftly away, perhaps snorting as they go. Whitetails that do this typically abandon their ranges for awhile, does and their young for a day or two and older bucks for a week or more. My hunting clothes hanging outside. To keep ruinous odors to a minimum, two or more weeks before the opener, you should wash all your hunting clothes with scent-free laundry soap. 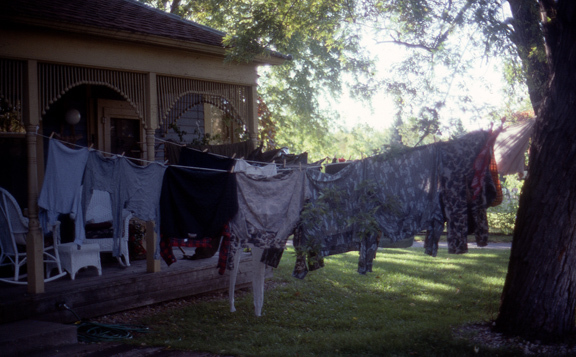 Then hang everything outside to dry and air out. 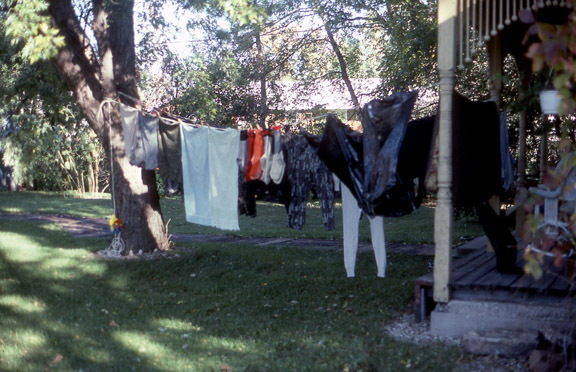 I like to hang my clothes in the shade of my open back porch five to seven days. I then seal everything in large plastic bags that were also washed with scentless soap (to get rid of the smell of plastic), thus keeping my clothes from becoming contaminated by strong odors before the opener. Though the smell of rubber can't be subdued by anything, I nonetheless wash my insulated rubber boots to eliminate foot odors. My rubber-bottom pacs can't be washed at all but the liners can, significantly reducing foot odors as well. The leather tops of my pacs must be waterproofed before every hunting season. I use SNO SEAL, which is relatively odor free, and then I hang my pacs out in my porch for at least two weeks. A black bear sniffing for scent. 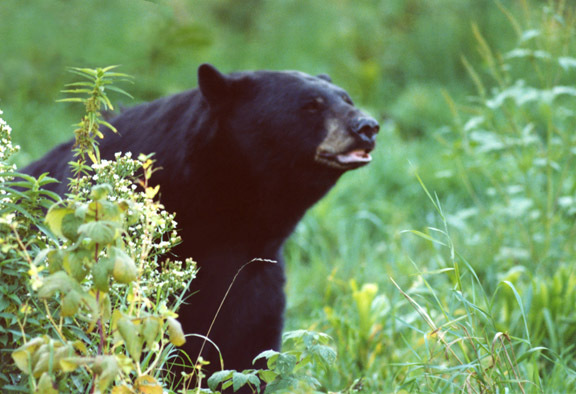 If you hunt from an elevated stand and therefore believe you don't have to worry about odors, consider this: in 1975, a black bear climbed a tree to reach for a half-full bottle of honey on the platform beneath the seat of my son Dave's portable treestand. Curious about this, I hung cloth bags of various foods in a dozen nearby trees, a couple as high as 50 feet above the ground. Bears found them all as evidenced by claw marks on the trees. We then knew black bears can smell hunters in trees. 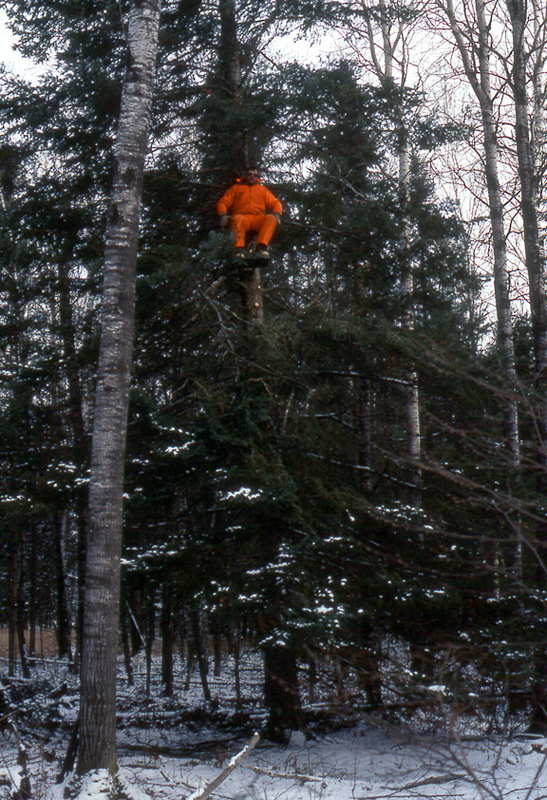 Tests were performed from a high tree stand like this one. Knowing noses of whitetails are every bit as sensitive as noses of black bears—able to determine which direction a hunter has traveled via scent alone—I began releasing many odors common to hunters such as gun oil, paint, well-worn socks and toothpaste from stoppered test tubes or bottles while seated at various heights in trees up to 55 feet above the ground, upwind of visible deer various distances away. It soon became evident odors characteristic of human hunters spread vertically as well as horizontally, initially touching the ground 25-50 yards downwind and widening out from there. Whitetails as far as 200 yards downwind and 100 yards to either side froze and intently stared toward the sources of these odors after being released for several minutes. What this means is, height in a tree cannot keep you from being smelled by downwind whitetails. The only way you can be absolutely sure you can't be smelled while hunting whitetails is to be downwind or crosswind of them. Therefore always approach a stand site or area where you expect to see deer from downwind or crosswind and while stand hunting, always sit downwind or crosswind. While hunting whitetails, perspiration on your body can soon become an enormous source of odors instantly recognized by all experienced deer 2-1/2 years of age or older—not easy to get rid of in deer camp. 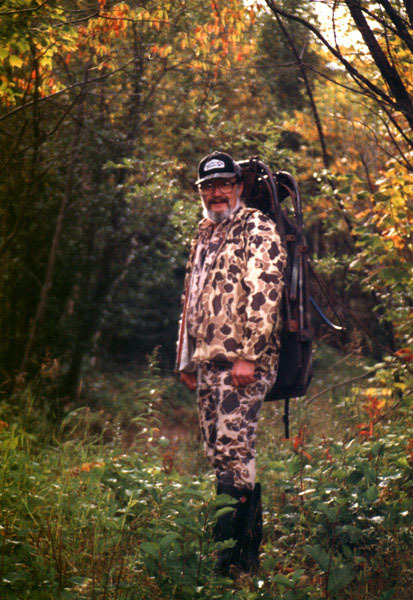 To keep from sweating excessively, my hunting coat is routinely carried stuffed in the packsack attached to my backpacked hunting stool while I am hiking to or from stand sites (slipped on shortly before arriving at them). Another important task to complete in October is sharpening your shooting accuracy. Like with golf clubs, none of us are born with what it takes to accurately fire at a real live whitetail, truly a pressure-packed event. Things tend to happen so fast that if you don't have finely tuned instincts that contribute to accurate shooting, you are likely to return home with tales of bucks that got away. 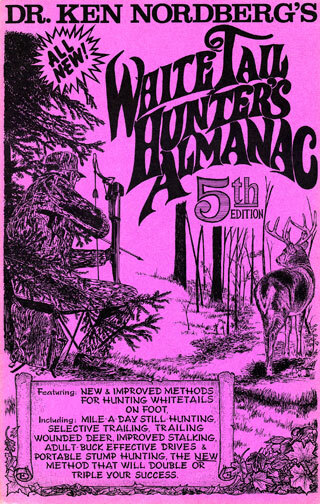 Even after 68 years of whitetail hunting, I still find it advisable to annually re-familiarize myself with the steps that enable me to shoot accurately under pressure. 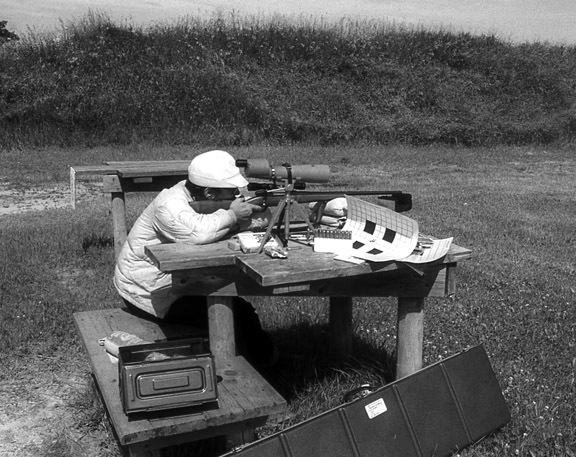 Doc at the rifle range. Though the scope on my rifle has never needed adjusting for more that 40 years, I still begin each hunting season by making certain my first bullet hits an inch above the center of the bull's-eye 100 yards away. The reason is, my favorite shot is a neck shot, aiming two to three inches high, a bit forward of the center of the neck where it joins a buck's body—my intent being to shatter neck vertebrae and underlying blood vessels. At the shot, a buck will drop in its tracks and will not be alive when I approach it minutes later. Moreover, none of the best cuts of venison will be ruined. October, of course, is also a great month for preseason scouting, especially the last half of the month when nighttime temperatures begin to dip below freezing. Antlered bucks will then be busy making antler rubs and ground scrapes, musk-laden markers of breeding ranges. Fresh rubs and scrapes do not mean breeding is in progress. Here in Minnesota that doesn't begin until the 3rd to 5th of November. Nonetheless it's nice to see all those buck signs while scouting. Be sure to measure track size. Don't let them fool you into putting all your eggs in one basket by planning to hunt near grounds scrapes only, however. Once breeding begins, lesser bucks will be living temporarily off-range (chased there by dominant bucks) and dominant bucks will no longer have time to renew ground scrapes (spending all their time with does in heat). Instead, hunt feeding areas and trails near feeding areas. 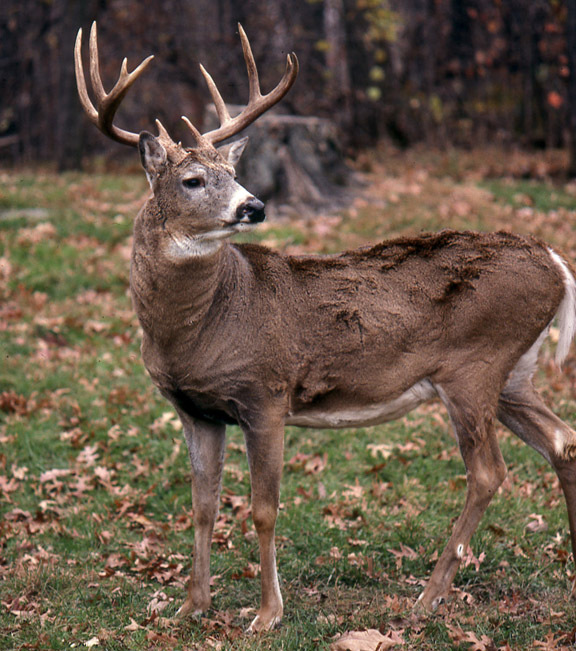 To make matters simpler, plan to hunt near very fresh deer tracks and droppings (where deer are right now). 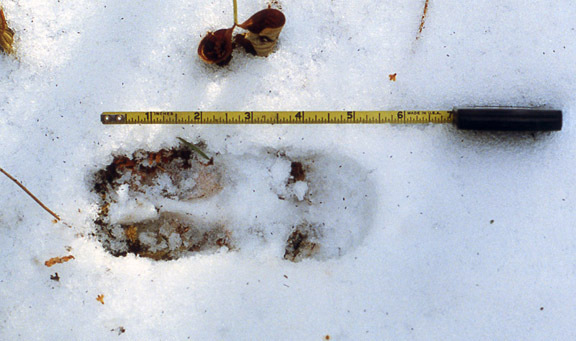 If a big buck is your intended quarry, hunt near very fresh buck-sized hoof prints 3-1/2 to four inches long and/or very fresh droppings (shiny and probably clumped) 3/4-inch long or longer. 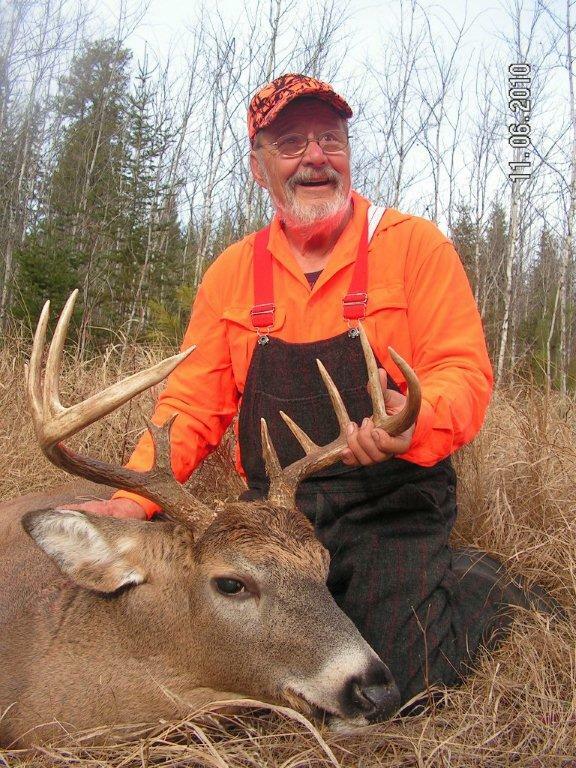 If you do all this, chances are your next hunting season will be one you'll long remember.